Dr. Sherwood Hall has the distinction of being the first Western person born in Korea. Hall's father, Dr. William Hall, was a Canadian medical evangelist during the early 1890s. In 1892 Dr. William Hall married Rosetta Sherwood, an American missionary. Their wedding was the first Western-style wedding ceremony held in Korea, amid much public curiosity. Soon after, unfortunately, Dr. Hall's father and sister died of typhoid fever and were buried in Yanhwajin, southern Seoul. 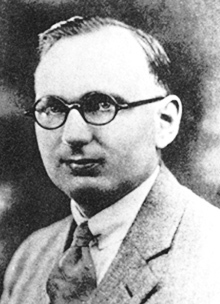 Dr. Hall returned to Canada to study medicine and graduated from the University of Toronto, School of Medicine in 1923. He returned to Korea in 1926 with his wife. While a child in Korea, Dr. Hall's guardian (Esther Kim Pak) contracted tuberculosis and had to leave to China to receive medical attention. Her death inspired Hall to create a tuberculosis sanatorium in 1928 at Haeju (now in North Korea). At the time, tuberculosis was considered incurable in Korea. Dr. Hall's sanatorium was one of the first of its kind. In order to raise money and educate Koreans about tuberculosis, Dr. Hall introduced the first Korean Christmas seals in 1932. Koreans. unaccustomed to the idea of Christmas seals, originally thought the seals were a treatment and put them on their chests. The seals were designed by Western artists and featured Korean scenes. The first seals featured Namdaemun (South Gate). He donated the entire series of seals (1932-1940) to the Smithsonian Museum in Richmond, Ontario. In, 1940 the Japanese colonial government subjected the Halls to a court trial where they were accused and convicted of "espionage activities". The Halls were sentenced to a three year jail term. They were forced to stop all their activities and were promptly deported out of Korea. In 1984, Dr. Hall returned to Korea at the invitation of the Korean National Tuberculosis Association (KNTA). Dr. Hall celebrated his 91st birthday in Seoul with a large reception where he was presented with several awards. These included being made an honourary citizen of Seoul by the Mayor and being given the Order of Civil Merit, and being given the Mong-nyon Medal by the Minister of Health and Social Affairs. Dr. Hall spent nine days in Korea, visiting his birthplace and, what he considered his "second homeland". Copyright ⓒ 2018 한국캐나다학회 All Rights Reserved. Made by HICOMP INT.